In my mind there is only 1 reason that would be worth the risk and almost necessary for TBI to go private on a missing persons case without releasing a POI or any solid leads. This would only happen in a small town and only if LE did have a POI. Why were the official searches not resumed following the Easter storm? How about POI is LE or close fam of LE or former LE and some are afraid of cover up or retaliation? Anything is possible. However ... the conflicting TBI reported happenings encompassing the alleged abuduction implies that I cannot move passed Clint Bobo as a POI in the disappearance of his sister. Something happened to Holly Bobo on the morning of April 13th but ... at this point in time I firmly believe there was no abduction. I'm ridin' with you on this one my Monkey friend. I too believe he has knowledge and/or was right there or he may have done it. Maybe she knew something he might have done the fam wouldn't like. Would love to know the fam dynamics in that home! On the droid again. Excuse the grammar. Janet My Mom also holds your point of view and has from the beginning. The story that was first reported supports the LE response and the criteria for a amber alert. The current one does not. If in fact " someone in the home " was involved, why would they change their " story " to a much less predictable theory that draws MORE attention to THEM and less to Holly? Cant wrap my mind around that. Unless this is a domestic/family abduction and they had a POI early on then I will never get the silence in this case. When they " adjusted " the description I thought that they got him, but to get the warrant it had to match and maybe one was off a little. Wishful thinking. I believe that reason the elusive Clint never showed his face at the press conference with his patents on April 14th is because his original account encompassing the alleged abduction revealed April 13th in a TBI media release ... raised questions from skeptics ... from TBI ... from Karen and Dana. 1. If Clint observed Holly being dragged into the woods by a stranger wearing camplage ... why did he not attempt to rescue her? 2. If a neighbour contacted 911 when she heard a woman scream at 7:30 AM ... why did Clint not contact 911 until 8:00 AM. The second account revealed in a TBI press conference on April 16th answered the above questions. 1. Holly was not dragged/forced into the woods by a stranger ... she walked into the woods with who Clint perceived as her boyfriend. Nothing to worry about. 2. Clint did not hear any scream but when he came outside the house at 8:00 PM ... he observed a small amount of blood on the driveway ... became alarmed and ... called 911. The elephant in the room is the changing stories. I believe the silence forthcoming for almost two months from TBI and the family and the suspended searches imply tha 25 year oldt Clint is suspected of having knowledge regarding the disappearance of his sister but ... without evidence ... with a body and ... without a confession there is nothing that law enforcement can do. Think of the Kyron Horman case. Think about the Hailey Dunn case. Think of the Susan Powell case. Think of the Stacy Peterson case. Its creepy how much that picture resembles someone. I guess when the statement came out after reading it I walked away with the word "never" repeating in my head. Now I am familiar with this phrase, although for me it is used in a time of great relief and appretiation. " I could never thank you enough for helping me out today with the kids. I really do appreciate it. " I feel much gratitude and a feeling of being indebt to others in this statement. "Keep your eyes and ears open and search your own property." This is a reference to evidence and the suspect in my opinion. The bag was found on private propery by the owner. Large tracks of land in TN and it could of also have been a little pressure on someone that wasnt letting LE search their property and now their household knows to search their property. Just what I thought. Very interesting wording in general but much more so if the case is really without a POI, strong leads, or Holly. So who does it resemble? You are stumbling around the truth. Only my truth. That picture resembles a family member in my opinion. I was just taken back when I saw it. My belief has not changed in this case; I think that whatever happened on Easter turned out to be either a false lead, or something actually belonging to Holly, such as the rumored phone, but of no real value once examined. LE was hesitant to say it was important, instead agreeing that it could be, and in my opinion ,it wasn't , at least not enough to help them find Holly or whoever took her from her property. I think the Bobo's had a momentary lift in spirits and optimism that has since been crushed, apparent to me in their own private searches. I do not believe they have any idea where Holly is. LE cannot keep a family from speaking out in an effort to find their child; they could do so without even mentioning the investigation, just by showing her picture, responding to media requests, calling on Marc Klaas or another missing persons group. The Bobos have nothing to lose by reaching out for help, in my opinion . Sooner or later, I feel they will, but hope it is not already too late, trail too cold, memories too faded. I've no opinion on her brother really; I can't see how his timeline would fit to have her lunch pail end up where it did, but who knows. Are you referring to Dana? Looks a little like him around the eyes. I don't know who actually sketched that picture, but maybe they were looking at his picture when they sketched it. Yeah, where is Clint? There is some reason that he is in hiding. Could it be that maybe he did not actually do anything to Holly, but that someone he had made mad or owed a debt to did it? Maybe they have her and are demanding something for her return? Maybe that is why his story changed so much, he was told that if he said anything about who really was responsible then they would harm her? Maybe that is where all the money they are raising is going, to pay someone for her return and maybe they were warned not to involve LE? Considering the truth regarding the disappearance of Holly Hobo remains elusive ... speculation is where it is at. Could it be that something happened to Holly prior to the rising of the sun on April 13th ... maybe on April 12th and ... the scenario encompassing the alleged abduction was collaborated effort prior to Karen and Dana leaving the home that morning. A "Helping Holly Run" will be held Saturday at Decatur County Middle School in Parsons, according to a news release from the TN Riders Association. The event is open to the motorcycle riding community and to all individuals who would like to help raise awareness of the abduction of nursing student Holly Bobo, who has been missing from her home since April 13. The release states, in part that, " This ride is dedicated to honor the passion of hope that Holly has instilled not only in our community, county, and state, but also our nation. All proceeds (unless otherwise posted by individual vendors) will go to the Bobo family for any expenses incurred to Bring Holly Home. Law enforcement officials say they have exhausted all of their options for ground searches for Bobo, 20, and have no strong leads in the case. They continue to investigate and conduct limited searches as leads develop. And the missing coed has gained a legion of followers. A search for "Bobo" on Facebook yields more than 10 fan pages, profiles and groups with thousands of online supporters. 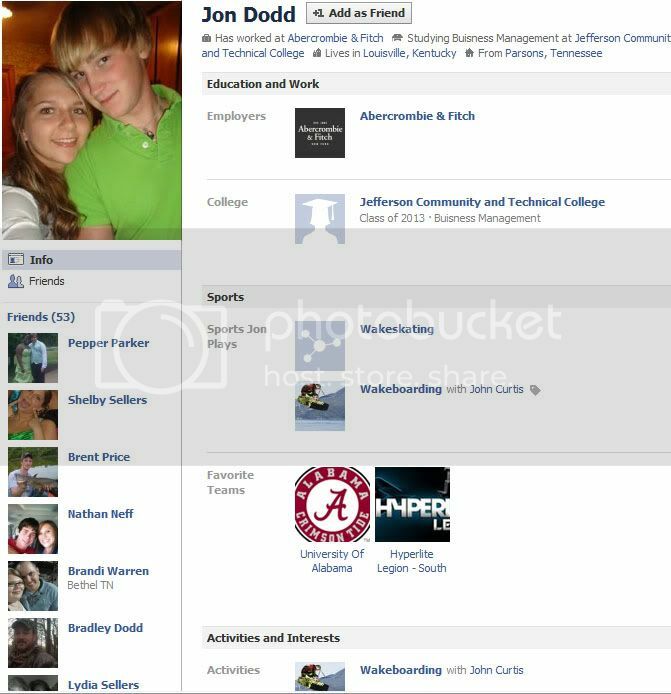 "Jon Dodd" who was mentioned all over the web along with others regarding Holly, is now residing in KENTUCKY.....He has posted this on his "friends" FB as well as in his info on his private FB. 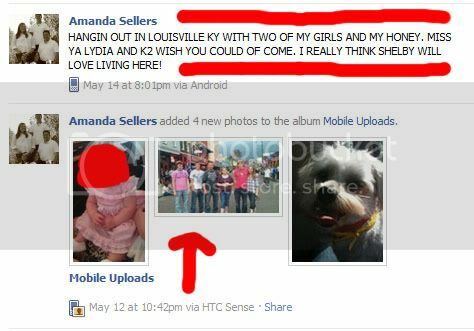 copy of Jons FB shows he is in Kentucky? IS THAT CLINT ON MAY 12 in the pic on the left? Or am I wrong?! says there on a trip in Tennessee... MOBIL Upload! 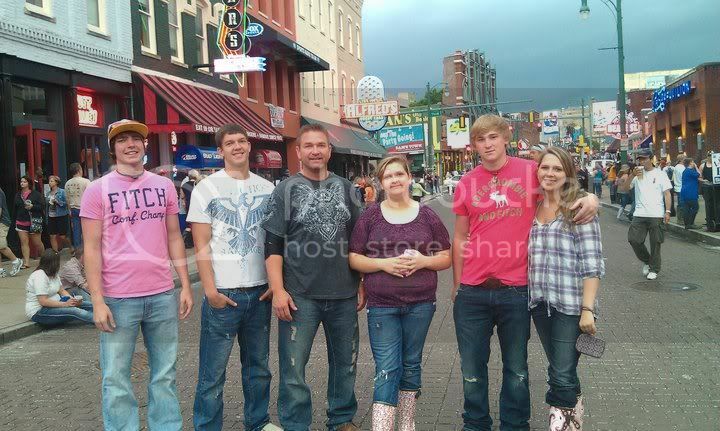 Holly Bobo's family sat down with ABC 7 Eyewitness News this afternooon. Hear what they have to say about her disappearance, the search for her kidnapper, and the outpouring of community support tonight at 6 and 10.. Apparently, this is going to be on their 10 o'clock news show. Will keep waiting for it to be posted to the WBBJ site. Many photos of Holly that I have not seen before. Just click on one of the photos at the top of the facebook page to view the album using the arrows. Post from facebook regarding interview with parents and apparently CLINT......still waiting to see if it appears on their news site. That was the worst "exclusive" interview I have ever seen. You didn't get to hear the interview except for her brother wanting anyone with info to come forward and the Mother in tears wanting her home. BAD job WBBJ...to get people to watch the 6 and 10 news! It has now been 10 weeks since Holly Bobo disappeared from outside her Decatur County home. In that time, her mom and dad have only spoken publicly once. But, Wednesday, they broke their silence, along with Holly's brother Clint, and talked exclusively with ABC 7 Eyewitness News. A new normal, that is how Clint describes his life since April 13. That was the day he saw his sister being walked from their home near Darden by a man wearing camouflage. The 20-year-old nursing student has not been seen since. "I'm getting by day-by-day," said Clint. "I'm doing OK." Holly is out of sight but never out of mind for her big brother. He wears at least four different pink bracelets every day in her honor. "I wear these just because this is my life now," he explained. "This is what I do." Clint, his mom Karen and dad Dana, devote almost every waking moment to ensuring Holly's safe return. "We get a little sleep and do a lot of searching," said Dana. He returned to work at a local tree service company just a few weeks ago. But he still devotes his evenings and weekend to searching with Clint, hoping they will find something in the woods not seen before. That isn't Clint is it? It looks like the other guy on FB. OOOh carp, I've passed it. Help me Monkey's. What's his name? He's wearing a cap the same in the pic. Page created in 2.129 seconds with 19 queries.